Aadyant believes that every child is special and unique. Our aim is to provide a stimulating environment that enhances the development of each child. 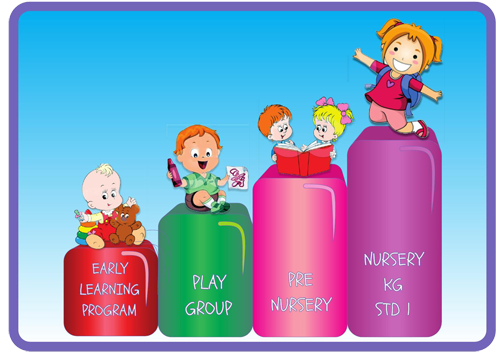 Keeping this in mind, the ‘Early Learning Programme’ was launched in this session. This programme has been developed to cater specially to toddlers and their need for sensorial stimulation. Children between the age of 1 to 2 years, along with their mothers, participate and learn through an array of interesting activities, which strengthen the mother and child bond. This programme is lately becoming popular with young mothers as they spend quality time with their little ones, engaged in constructive activities, specially designed for them. Toddlers are engaged in constructive activities best suited for their age and are accordingly given different levels.